What comes to your mind first when you think of Indian Food? 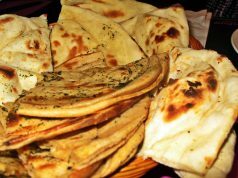 I’m sure that the first few things that come to your mind are about the rich spices, mouth watering curries, oily, fat, hot, fine aromas, rich flavors, diversity, butter chicken, tandoori chicken etc. But no-one would think anything close to Bizarre. For people who thought Indian food was all about vegetables, curries and spices, read on and your perceptions will be change. Mine did. For I thought that these bizarre food items were part of other south-east Asian countries but not India. I was actually surprised to see them as a part of Indian regional culinary delights. If you thought Indian food is irresistible, you need to think again. It is a rice dish which is cooked with either pig or chicken blood and entrails. 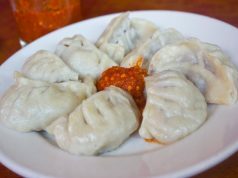 It is a dish popular among the Jaintia tribes of the North East India. is a famous dish comprising of rice cooked with the blood and entrails of pigs and chicken. It is similar to Pulao but here the main ingredients are rice, blood and pig intestine. Nahkham is a delicacy for the Garo tribe. The dish comprises of a curry made from dried fish blended with distilled ashes and vegetables. The dish smells too bad, something worse than expected. 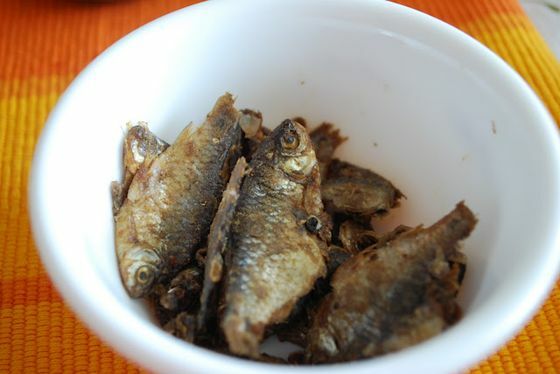 However, dried fish is popular in many other parts of India, but one served here is probably the stinkiest of them all. 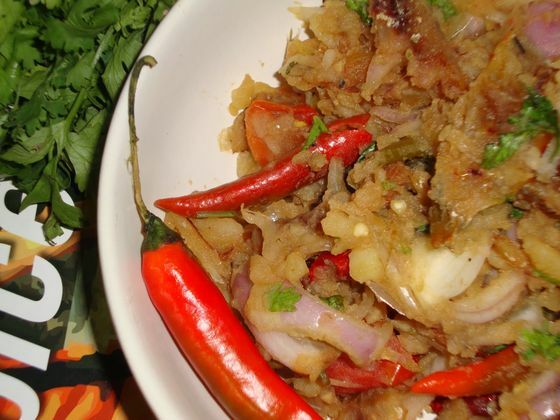 Another very bizarre salad dish that hails from Meghalaya, North-Eastern state in India, is Doh Khleh. It is a regular pork and onion salad but what makes it bizarre is its garnishing. The salad is garnished with steamed Pig brain. is another delicacy made of pork with a garnish of steamed pig’s brain. Yup you read it right. 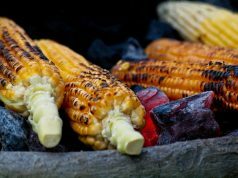 The food culture of Nagaland is totally different from rest of India. Here the dish considered a delicacy might be regarded as a taboo to other Indian communities. 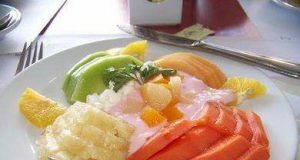 Here the delicacies include dogs, spiders, pork, beef, crabs, cats, chicken and even elephants. 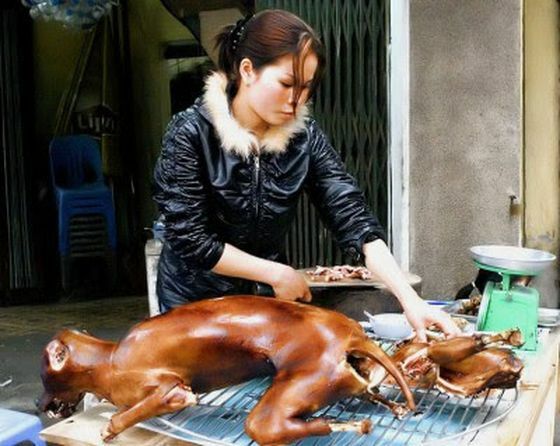 Dog is considered a delicacy in Nagaland, Mizoram and Manipur’s tribal communities only. 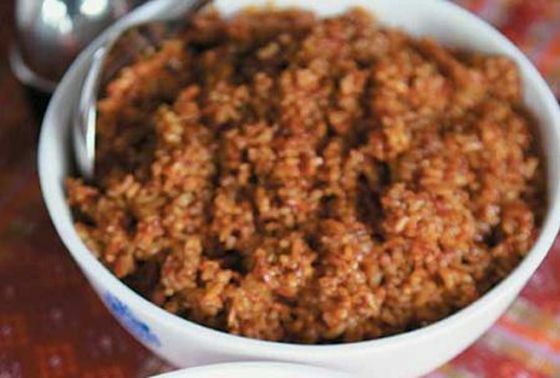 Nghe Thu’um is a chutney whose main ingredient is dried and fermented fish, chillies and tomatoes. The chillies found here in Nagaland are way too spicy. Remember Naga Jolokia or Bhoot Jolokia was the hottest chilli in the world. It is fermented pork fat. The pig fat is stored, fermented and them used for cooking purpose. For the Lepchas community in Sikkim there is nothing more exotic then few pieces of Frog legs. For them Frog legs are a delicacy the can relish on for their entire life. 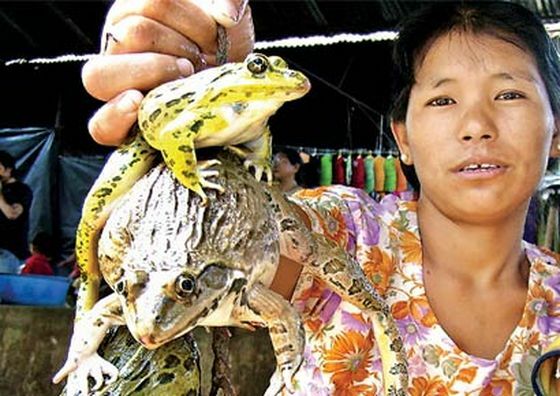 They believe that these frog legs contains medicinal values and are able to cure dysentery and other stomach ailments. 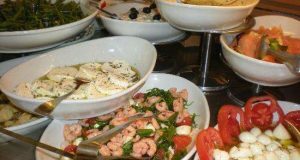 Goa has Portuguese inclinations when it comes to food. 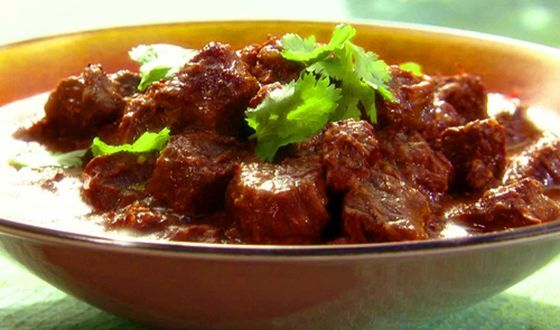 Goa offers a bizarre food that is named as Sorpotel (chouricos). The ingredients that make it bizarre is the pork offal. For your information Offal refers to ‘The entrails and internal organs of an animal used as food’ or ‘Refuse or waste material’. 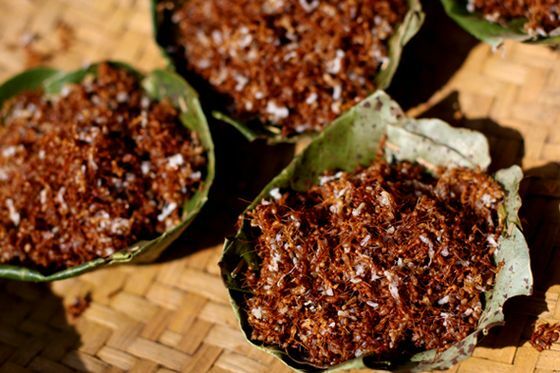 Eri polu is one of an exotic delicacies prepared from Silk Worm pupas. 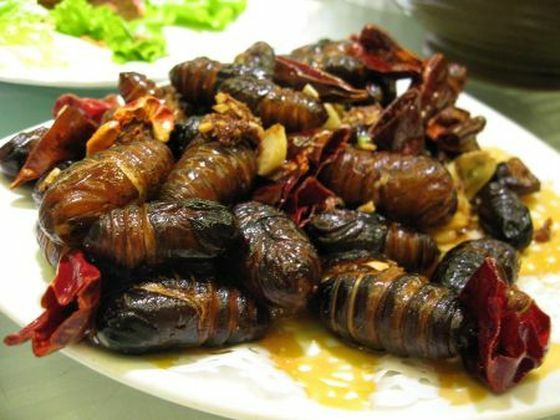 Eri silkworm is the primary ingredient and is used after it has spun its cocoon. 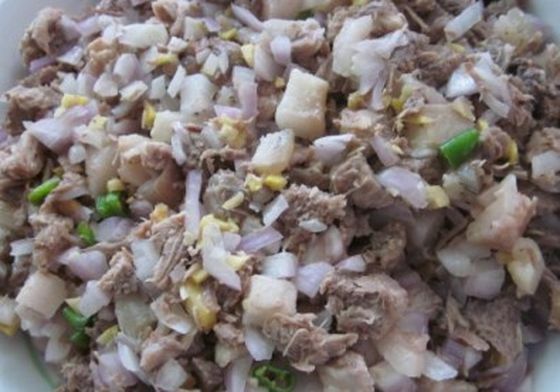 Eri Polu is usually served with ‘Khorisa’ which is another exotic dish in Assam. Khorisha is prepared from fermented bamboo shoots. 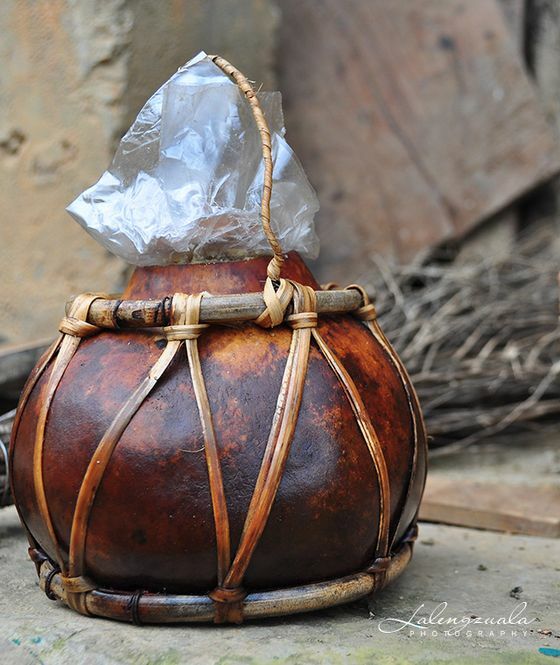 It is a traditional condiment used in Assam. Chhatisgarh is a tribal state in India. Here the favorite chutney of the tribe is called Chaprah which is made from red ants along with their eggs. The chutney has a pungent and spicy taste that gives you an out of the world experience. These red ants are also used as a garnish for the dishes to make it spicier and hot. 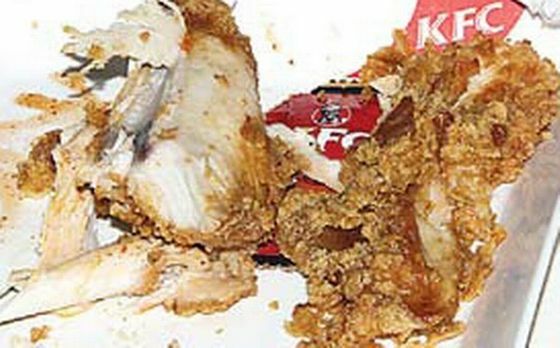 Recently there was a buzz about worms found in KFC’s Fried Chicken. We thought of adding it to our list of “Bizarre or Exotic, Decide for Yourself”.